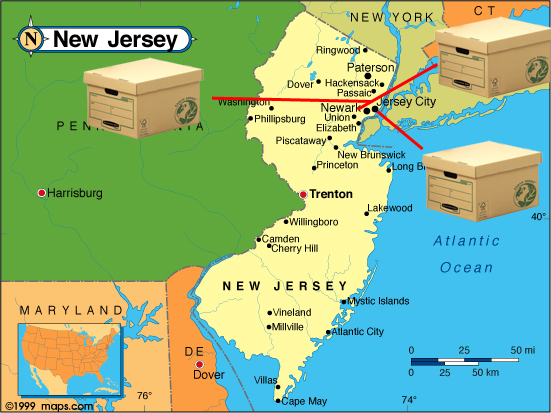 Liberty Self Storage offers a variety of storage options to the Bayonne, New Jersey area. With three locations, our facility proudly serves the residents and businesses of nearby communities such as in zip codes: 07002. We offer a wide variety of self storage near Bayonne with unit sizes, ranging from small 3'x4' spaces to large 10'x30' areas. With access hours every day of the week, you'll always have an opportunity to stop by your unit at a time that's convenient for you. Our dollies and handcarts make moving in painless. We even sell boxes and other moving supplies such as bubble wrap and tape at our front desk, so you don't have to run all over town to find the packing moving materials you need!